Poindexter Nut Company has increased its walnut pasteurization capacity with the addition of a second large Napasol Pasteurization line. The expansion is necessary to pasteurize 100% of the company's product and keep up with demand for safe and natural high quality raw California walnuts. Poindexter was the first in the walnut industry to invest in a Napasol natural pasteurization process in 2011 and the growth in volume and demand for pasteurized product exceeded their projections. According to Mike Poindexter, Owner and CEO of Poindexter Nut Company, “California walnuts are a superior product unavailable elsewhere and they should be safe, the flavor and nutritional quality of the raw nut must be preserved and the shelf life maximized.” Mike adds, “The Napasol process does all those things and their equipment is a critical piece of that equation.” For him, it is important that the process is certified organic as consumers would object to the use of chemicals such as Propylene Oxide (PPO) for insuring the safety of walnuts. With years of experience with the Napasol system Poindexter looked at different pasteurization systems on the market to add capacity, concluding that there was no system superior to Napasol. A brand new structure was purpose built to house this second large Napasol pasteurization plant which allows handling the high product flow and assuring the separation of the raw product side from the clean room side where the pasteurized product is packed. 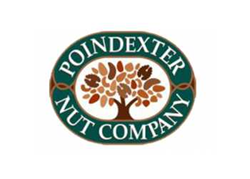 No other walnut handler has made such a large investment in food safety as Poindexter Nut Company, whose goal is to pasteurize all the walnuts they sell. The Napasol units in the Poindexter facility are validated to a 5-log Salmonella reduction performance criterion (100,000-fold reduction) and the company has petitioned the FDA for the authorization to label the treated walnuts “Pasteurized”. Some companies cannot afford to make such an investment which is why the pasteurization facility was oversized to be able to custom process and build capacity so that others in the walnut industry in California can sell naturally pasteurized safe products. 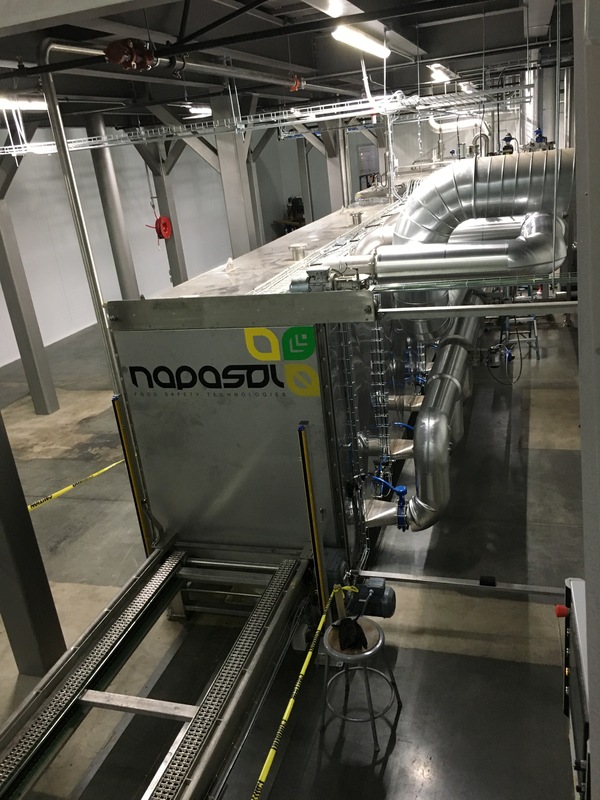 The installed Napasol pasteurization line in the Poindexter facility has the capability to handle a significant portion of the 205 million lbs walnut kernels sold annually in the North American market. Poindexter Nut Company is located in Selma CA where it processes over 55 million pounds of walnuts yearly, exports to 56 countries, and has a staff of more than 400 employees seasonally. The increased pasteurization capacity and the “Pasteurized” label will give the Poindexter Nut Company a leading position in the walnut industry and a huge potential for growth. Napasol North America LLC offers a range of equipment for pasteurizing nuts, seeds, herbs, spices and other low moisture foods. With the increasing number of units operating on the west coast, Napasol has established itself as the market leader in the pasteurization of nuts.